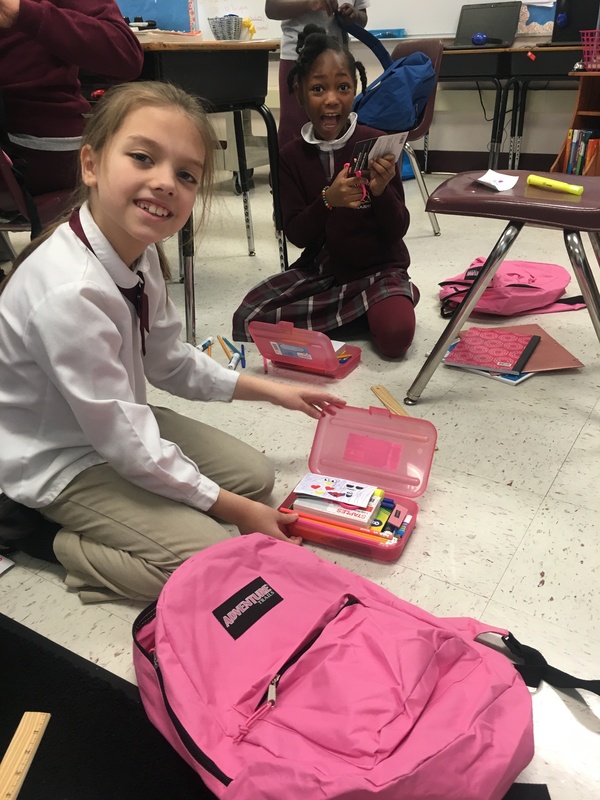 While we are proud of the work that City Connects coordinators do to help homeless students, we are even more proud of the work that third graders at Trinity Catholic Academy in Brockton, Mass., are doing to help their peers. 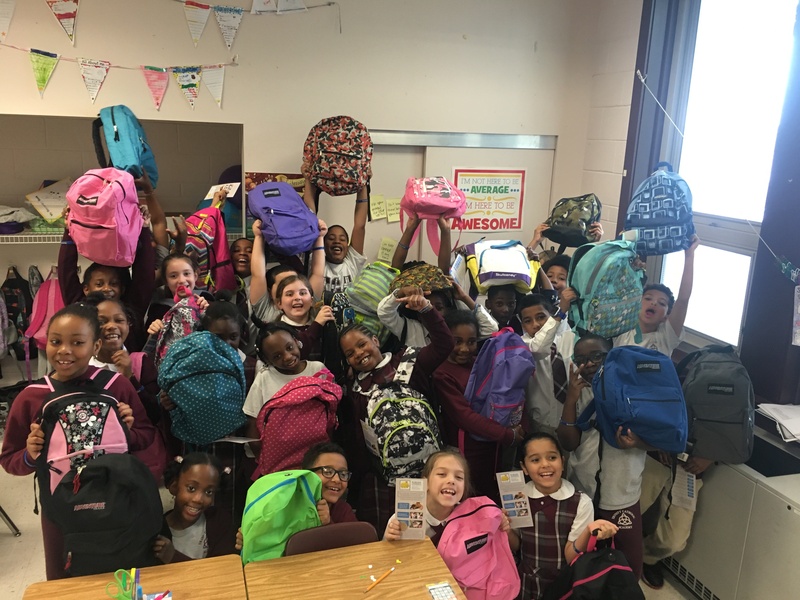 The third graders packed backpacks full of school supplies for other Brockton children who are in the third and fourth grade and are homeless. “Remember miracles can happen. Dream big. 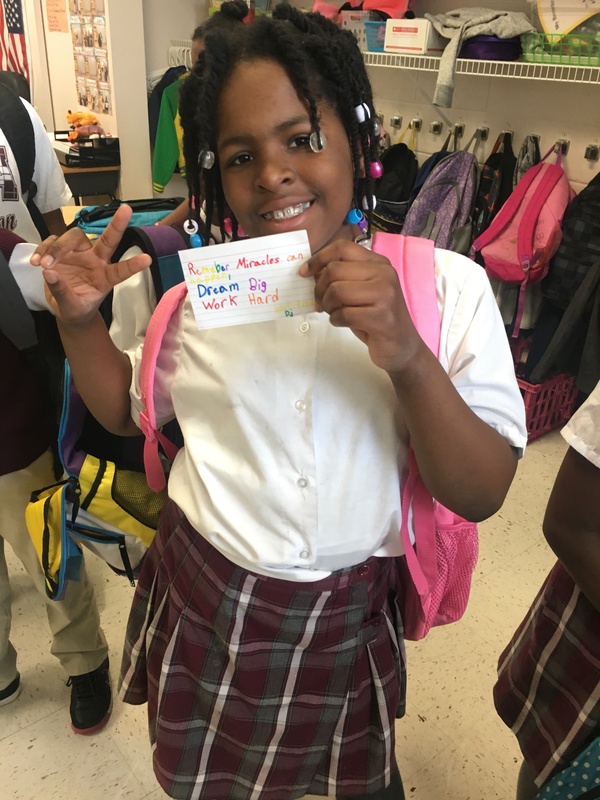 Work hard,” one Trinity Catholic third grader wrote in a note to a child who will receive a backpack. This effort engages students in the work of helping their peers and their community become stronger and better connected. This project was organized by Paige Morrone, Trinity Catholic’s City Connects Coordinator. Morrone worked with Schools on Wheels Massachusetts (SOWMA), a nonprofit organization, and the Staples store at Westgage Mall. “I know that homelessness is something that students at my school struggle with, and I wanted to raise awareness about this issue in a way that young people could relate to. I partnered with Barbara Fox at SOWMA, and she provided us with resources to make this project more than just a fundraiser. It became a school-wide initiative that gave our third graders the opportunity to learn more about homelessness — and to help fellow 8-year-olds be successful in school. 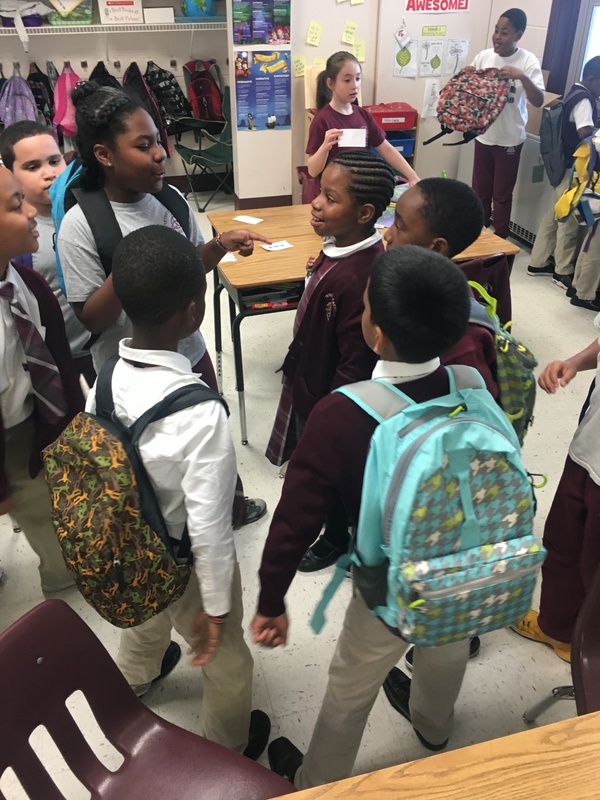 Across City Connects schools, coordinators help students experiencing homelessness, by connecting families to housing assistance and other services, including food, clothing, or beds. Serving homeless students is critical work. In Massachusetts, some 21,000 students in the 2016-2017 school year were homeless, according to the state’s Department of Elementary and Secondary Education. As of the end January 2018, nearly 2,300 Massachusetts public school children who had fled Hurricane Maria were homeless, according to the Massachusetts Coalition for the Homeless. And a Boston Foundation report notes that of families who received emergency homelessness assistance from Massachusetts in fiscal year 2016, 59 percent were children under the age of 18, and nearly half of these children were two years old or younger. 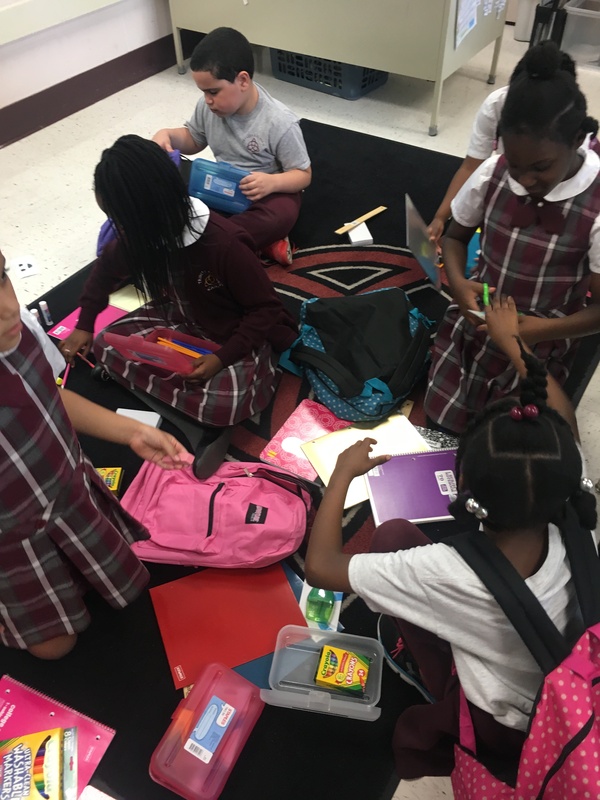 Thanks to the Trinity Catholic Academy third graders for working hard to provide care and encouragement to other children.